A model bidding to become the first Muslim to represent the UK in the world final of Miss Universe has been defending her decision to enter. Shanna Bukhari, who is 24 and lives in Manchester, said she’s been sent racist and abusive messages since making it to the beauty contest’s UK final. She believes Muslims in the UK should be allowed to have a western lifestyle. But Muslim groups have accused her of disrespecting Islam. 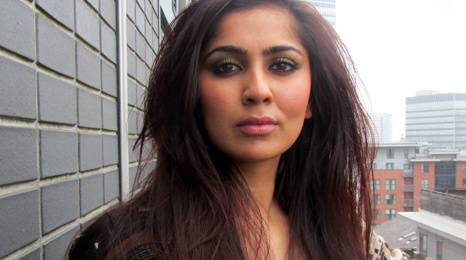 Shanna was born in Blackburn and she became a full-time model after finishing her degree. She said it’s her dream to be crowned Miss Universe but has been told she’s going against her religion. “[I get] comments like, ‘You’re not a Muslim because you’re doing this’ and it’s like, this competition does not make me a bad Muslim at all. “So it does hurt me to think that people are thinking like that,” she said. One of the main reasons some Muslims are angry is that Shanna would have to appear in swimwear in one round of the competition. Mohammed Shafiq is from the Ramadhan Foundation, a group that works with young Muslims in the UK. He’s against Shanna taking part. “Islam is very clear that a woman should dress modestly and we do not believe that parading yourself in a bikini is appropriate,” he said. He said he accepts the right for Muslim women to wear whatever they choose, but that those living in a western country should still be respectful of Islam. “We celebrate individual freedom but to suggest that someone who is opposed to something she’s doing needs to move off to another country is quite offensive,” he continued. Shanna said most people do support her, including her family in Pakistan and that she won’t be wearing a bikini but a one-piece and a sarong. But her older sister Sameera admitted some of the abusive comments have worried her. If Shanna wins the UK final on 1 May, she’ll be the first ever Muslim to represent Britain in the grand final in Brazil later this year. “People are attacking me, using religion as a tool, but is it really religion? “Or are you really jealous of a girl coming forward and not allowing anyone to dictate to her? “There are people out there who want to control women,” Shanna said. Meanwhile, other young Muslims have told Newsbeat that being allowed to live a Western lifestyle in the UK is a big issue. Rayan Jawad, 27, said: “This is a discussion that goes on all the time. Rumena Begum, 18 said: “It goes against our morals and our religion. The Miss Universe beauty contest was first held in 1952. The title is held by the Mexican contestant Ximena Navarrete. What an interesting story. She seems like many trailblazers — criticized for doing something different that they believe in. More power to her.